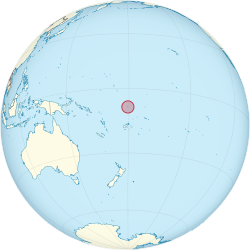 Tuvalu (Tuvalu-gí: Tuvalu) sī 1-ê tī Tāi-iûⁿ-chiu ê kok-ka. ↑ "Population of communities in Tuvalu". world-statistics.org. 11 April 2012. 20 March 2016 khòaⁿ--ê. ↑ "Population of communities in Tuvalu". Thomas Brinkhoff. 11 April 2012. 20 March 2016 khòaⁿ--ê. 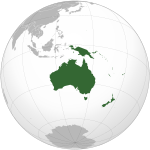 ↑ 3.0 3.1 3.2 3.3 "Tuvalu". International Monetary Fund. Chit ia̍h siāng bóe tī 2017-nî 3-goe̍h 9-ji̍t (Pài-sì), 14:56 ū pian-chi̍p--koè.